Heathfield School, the Ascot-based independent secondary boarding and day school for girls aged 11-18, is celebrating having been officially declared ‘Excellent’ in all areas by the Independent Schools Inspectorate (ISI). Inspectors rated the quality of pupils’ academic and other achievements as ‘Excellent’ stating that “Pupils consistently demonstrate positive attitudes to learning, have highly developed communication skills, and achieve their best”. They went on to confirm that, “Pupils demonstrate outstanding subject knowledge and understanding and display extremely effective study skills and abilities such as analysis and synthesis of knowledge”. They also described pupils’ non academic achievements as “outstanding”. 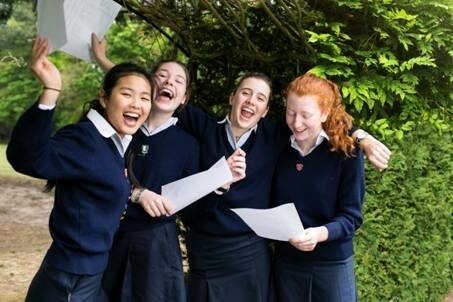 Last year Heathfield celebrated an amazing performance in its GCSE exams having achieved the school’s best ever results with 60% of girls achieving A*-A and grades 7,8,9 in the new and significantly more demanding English GCSEs – an 11% improvement on figures for 2016. Eight in ten girls (87%) achieved all A*-C grades in their A Level exams this summer, with more than half gaining all A*-B grades. Parsons Green Prep’s Year 6 children have achieved excellent 11+ results this year. Three children were offered scholarships to Putney High, Radnor House and Wimbledon High, with one of them now going to St Paul’s Girls School. Benenden, Harrodian, Fulham Prep, Francis Holland, Kew House, Lady Margaret’s, Queens Gate, St Paul’s Girls and Whitgift.